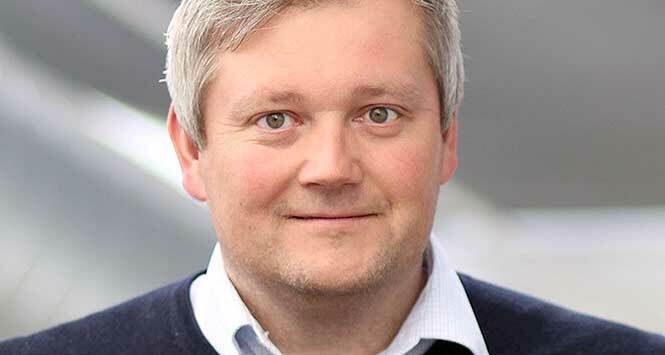 With the public consultation on a Deposit Return Scheme (DRS) in Scotland recently closed, we hear from Truls Haug, UK MD of deposit return specialists TOMRA on how he sees a scheme working in Scotland and how local retailers will be affected. Truls Haug is Managing Director of TOMRA Collection Solutions UK and Ireland. With more than 17 years’ experience working with TOMRA, where he originally joined as Product Manager, Truls has a strong working knowledge of the retail, recycling and environment sectors. 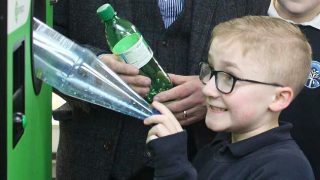 He also led the company’s securing of the deposit return scheme contract in New South Wales, Australia, during 2016-18. He is based between TOMRA’s Norwegian headquarters and the UK. So, it’s been a long time coming but what is the latest situation with a DRS scheme for Scotland? The situation is currently that Zero Waste Scotland is busy going through the feedback they received during the public consultation on deposit return launched in June. Yes, it was successful in terms of submissions. It officially closed on September 25 and more than 3,000 replies were received. So, should we all sit tight and wait for the outcome? Many retailers will choose to do that but there are a number of retailers in Scotland already starting to prepare by conducting live trials in their stores all over the country. How successful have other countries been in implementing and using DRS schemes? Usually DRS schemes are a success from day one. In Lithuania, for example, which only introduced a deposit scheme in 2016, they saw recycling rates increase from 34% to 92% on PET bottles from within two years. I would say that I don’t believe I have ever experienced a scheme that has not been a success. What will a DRS scheme mean for Scotland’s local retailers in practical terms? That’s a little hard to say right now as it all depends on the design of the scheme. For instance, a retail obligation scheme means that if you sell drinks you will also need to take the containers back. Therefore, you will need to have the facilities in place to comply with this obligation. Will retailers be obliged to have a reverse vending machine? No, retailers will not be required to invest in reverse vending systems. They can choose to take the containers back manually if they prefer. 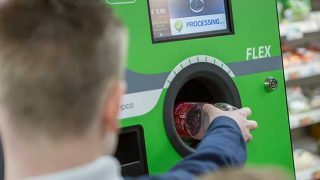 Norway, with a similar population to Scotland, has around 15,000 return points but only 3,700 of these have a reverse vending system installed. The Norwegian system is seen as one of the most successful. Will anyone help retailers with the cost? Yes. In Lithuania the investment in the reverse vending system infrastructure was absorbed by TOMRA itself. Eligible stores receive a machine free of charge and the operator pays a handling fee per collected container to the store to cover related costs like space, setup, maintenance and data exchange. Can local retailers make money from DRS? It is very hard to speculate as we still don’t know what the DRS will look like, but in many schemes the retailers get a handling fee. The level of the handling fee needs to be designed so at the very least they don’t make a loss. Will a DRS scheme increase recycling rates in Scotland? Yes. In the UK today the recycling rate is around 44% for plastic bottles. If the Scottish government designs a convenient system with a high enough deposit value, I am positive this will increase to between 85% and 98% within a couple of years on the items that have a deposit. Who should operate a DRS in Scotland? I hope it will be a non-profit organisation controlled by the industry. By this I mean the producers and the retailers. They will be the ones that are most affected and for that reason should run the scheme, based on requirements and goals defined by the government. DRS has been a controversial subject in Scotland. Do you believe it will ultimately benefit the country? Yes, I believe it will. Scotland is at the fore when it comes to circular economy and a DRS contributes to this. It will also generate green jobs, improve recycling rates and keep beverage containers out of Scotland’s oceans, streets and landfills. We find that an additional benefit of introducing a DRS is that it has a positive effect on total littering, as it causes people to rethink their behaviour.